Looking for an Investment Opportunity? Think Luxury! Chart of the Month – Active management is back but beware of the next equity sector rotation! Active Management is back but beware of the next equity sector rotation! After a tough 2016, active managers (long-only stock pickers and hedge funds) are back in business and outperform their benchmark since November of last year. 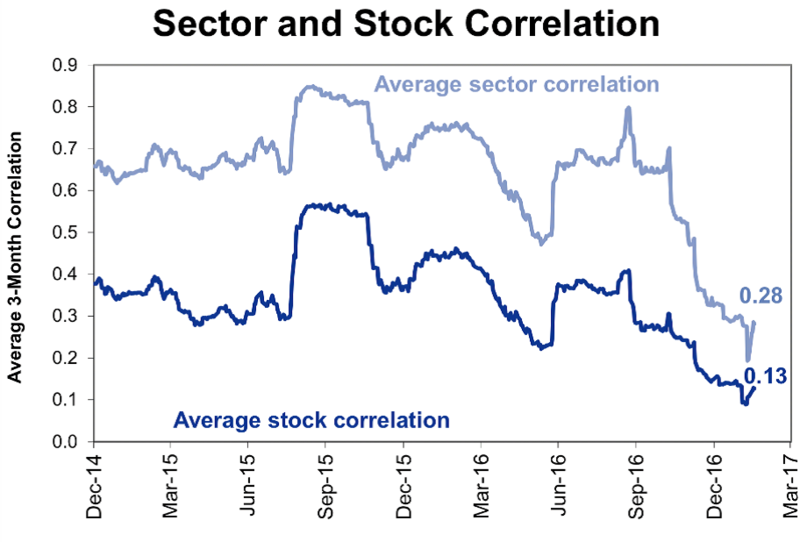 Number 1: Sector and stock correlation have come down to levels where active managers are able to generate positive performance and alpha. 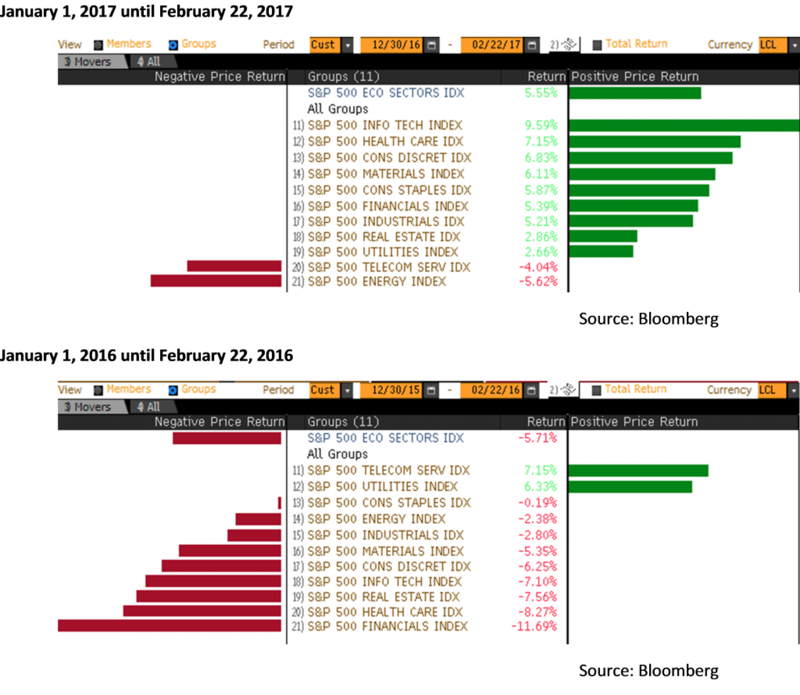 The global equity markets are now less driven by macro-economic factors (such as Oil, USD and China for instance) and central banks news. These markets seems more rational and driven by bottom-up stock specific news such as earnings and events. Number 2: The sectors which are driving performance this year (which is actually the mirror image of 2016 at the same time, see below) are IT, Healthcare and Consumer Discretionary. These sectors are currently favored by active managers and they tend to avoid (or go short if they can) sectors such as utilities and telecom. But beware of such outperformance in the short run, they tend not to last for too long. Wouldn’t it be wise to start taking some profit in these leading sectors? Previous Perception vs. Reality: Are (more business friendly) Republican Presidents better for the Equity Market?